The main goal of the project is to transform the town into an attractive tourism destination. 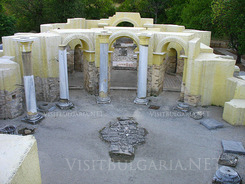 Three million BGN will be invested in the development of culture-history tourism in Veliki Preslav. This was announced by the Ministry of Regional Development and Public Works – Lilyana Pavlova opened a brand new station for waste waters in Veliki Preslav.